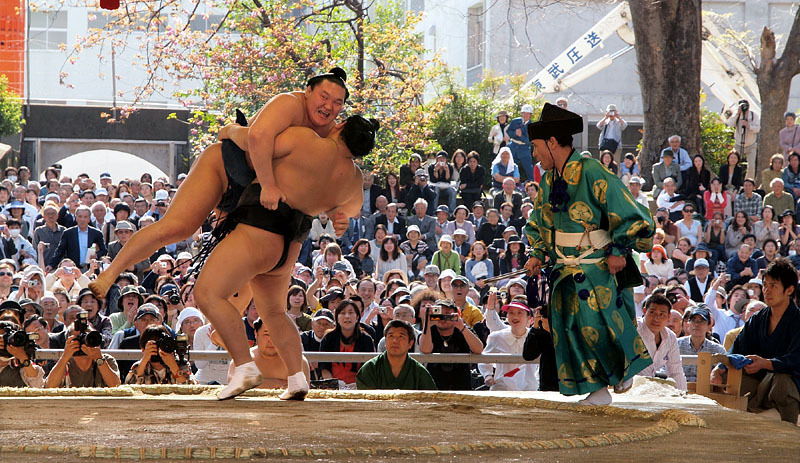 the final match exciting sumo spectators. 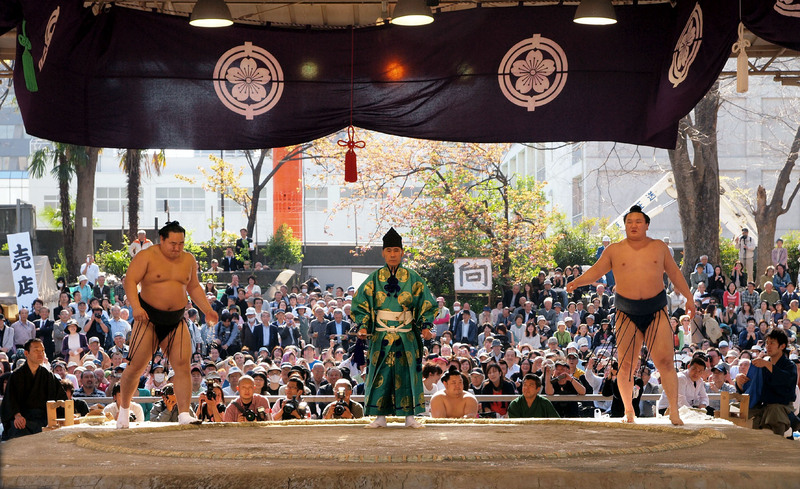 Cherry petals falling like snowflakes on the sumo ring at Kudan-shita. 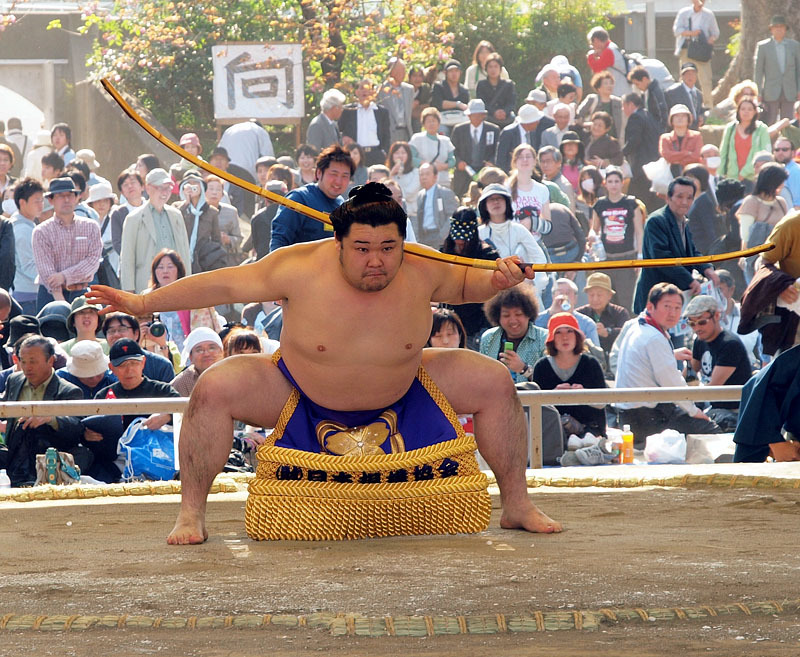 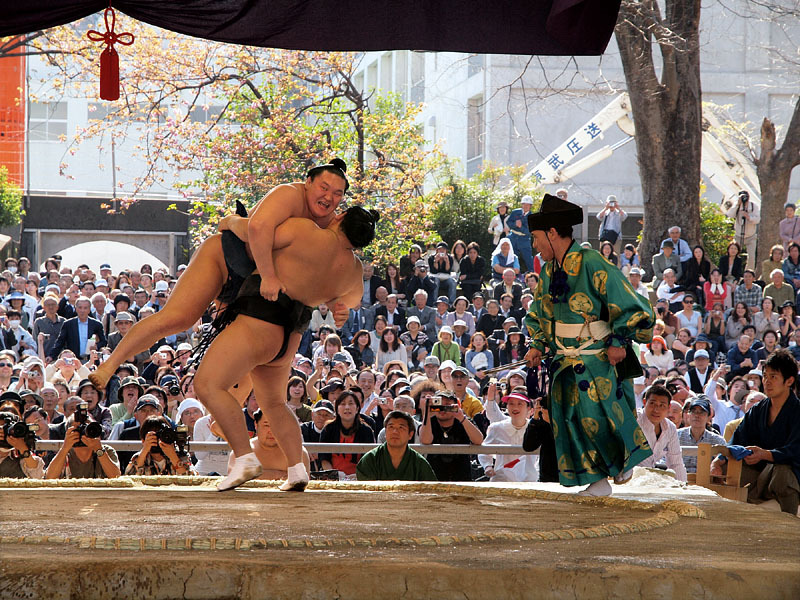 Fine day in spring, the sumo wrestler's ring performance with a pure white rope on the ring. 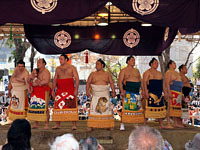 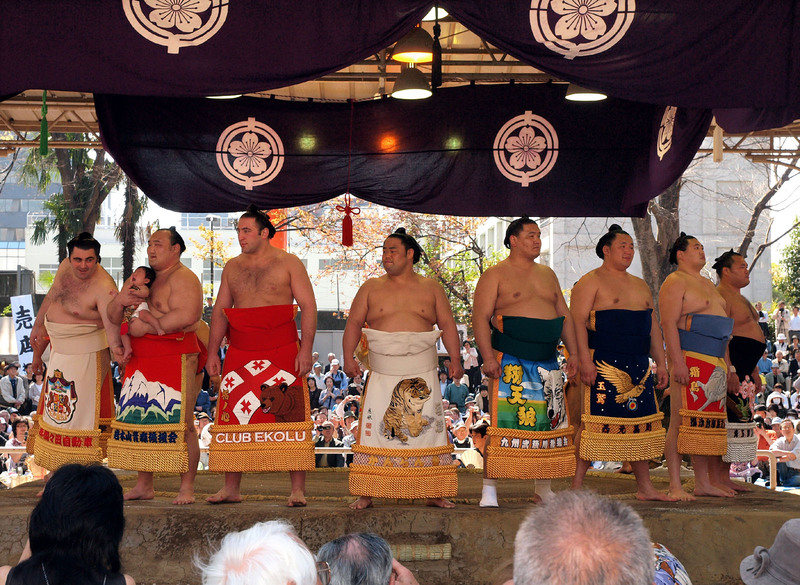 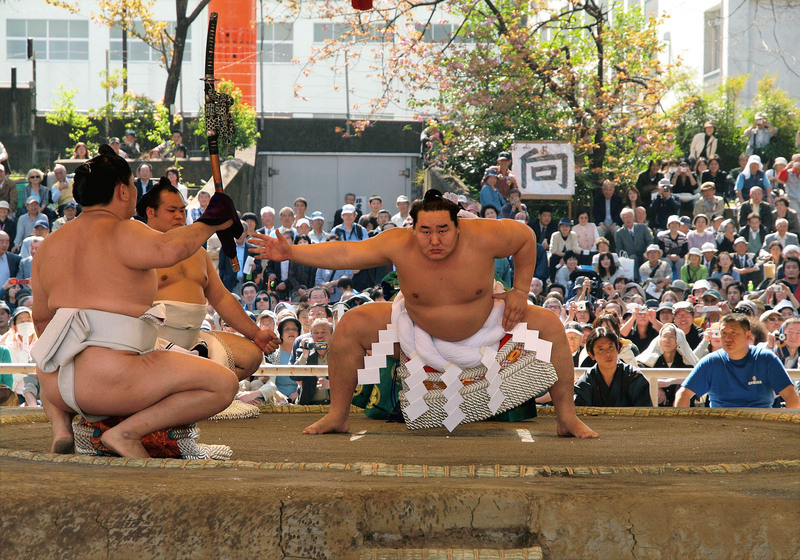 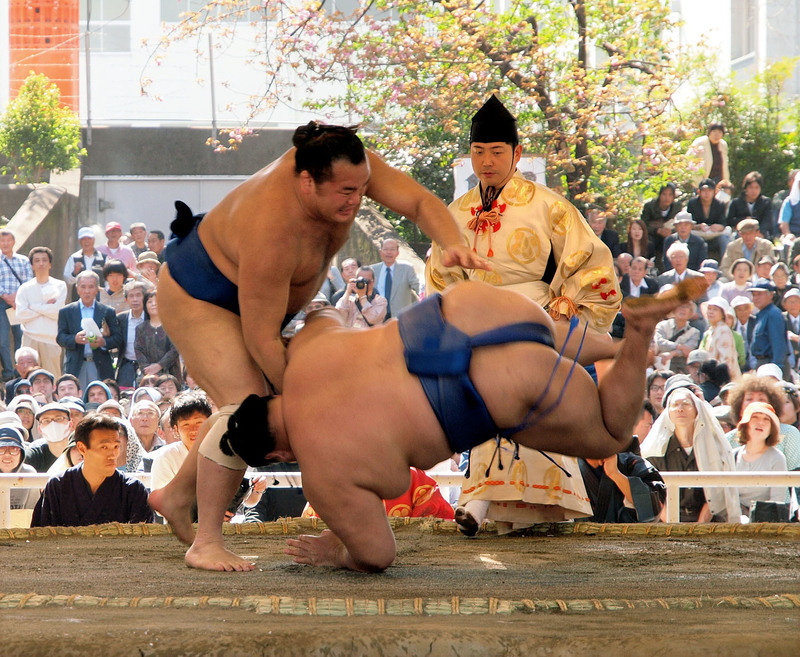 Spring sumo wrestling, dedicating to the soul of Yasukuni shrine. 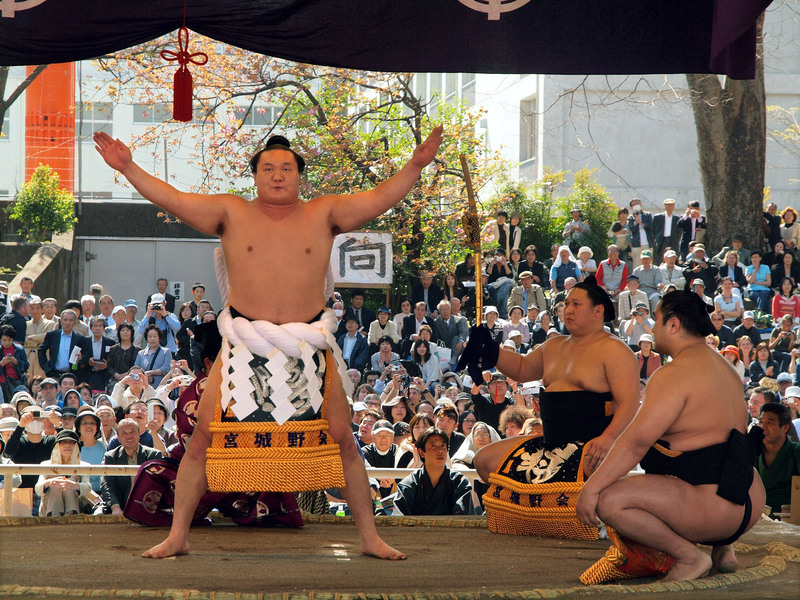 Spring wind, the code of the sumo wrestling on the loincloth. 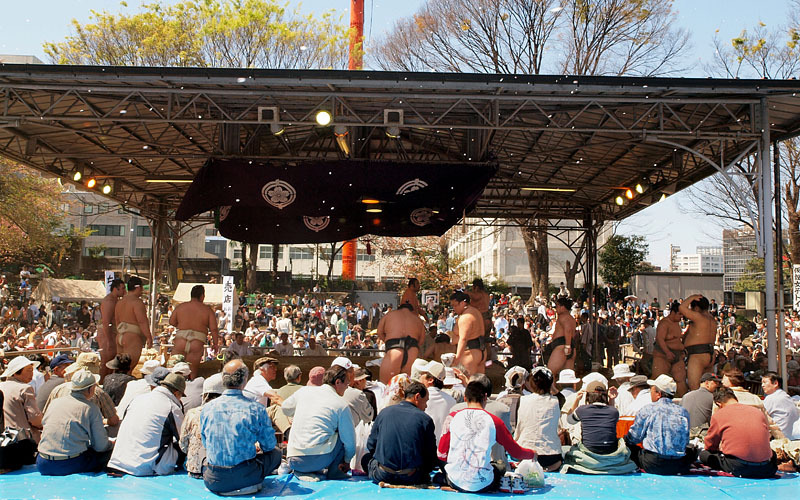 Spring sun shinning on the ring, the final match exciting sumo spectators.